Juicy’s Vapor Lounge franchises offer you the opportunity to own a vape shop business with backing and support from our corporate office. Our turnkey vaping franchise system enables you to own and operate your very own Juicy’s Vapor Lounge, providing you with the same quality vapor products and premium USA-made e-liquids that we offer at our corporate locations. Whether you are looking for an opportunity to expand your existing e-cigarette business or seeking a new business opportunity or, simply looking to establish a financial asset in a growing industry – you owe it to yourself to consider this opportunity. First, we offer top of the line products and, due to the volume of raw materials and misc. vape products we purchase, our pricing is extremely competitive. We manufacture our own eLiquid products in our clean, white coat facility Northern Oklahoma. While many vape franchises offer products sourced from Europe and China, we manufacture products in our own USA-based lab, enabling us to ensure a high level of consistency and overall quality. Additionally, our success in the vapor industry speaks for itself. 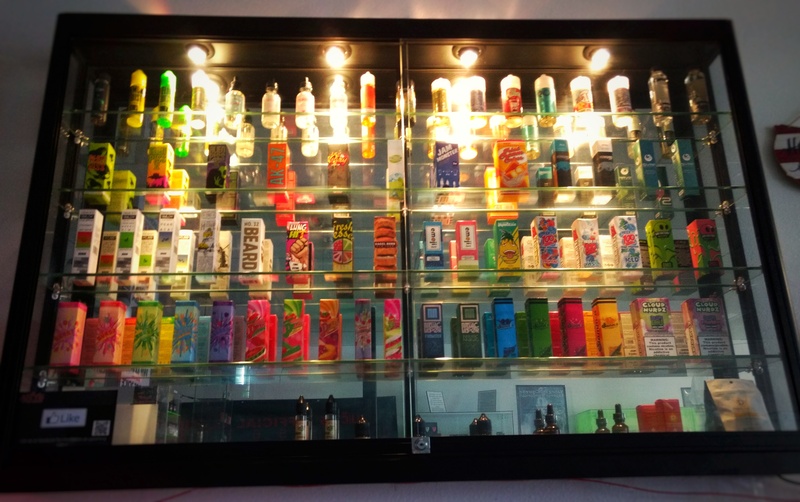 We help our franchisees succeed using the same processes and strategies we have used to establish Juicy’s Vapor Lounge as a leader in the vape industry. Finally, we have a proven system that has enabled us to capture vapor industry market share. Our franchise program provides training and a turn-key process that enables our franchisees to become profitable quickly. Juicy’s Vapor Lounge franchisees pay an initial franchise fee of $50,000. The average total investment for a JVL franchisee is $90,000-120,000 to get a location up and running.